AspCoreGen 2.0 MVC generates 3 projects/applications in One Click! It generates 3 separate applications in one Solution. The separation of projects is another way to clearly distinguish the functionality of the respective applications. 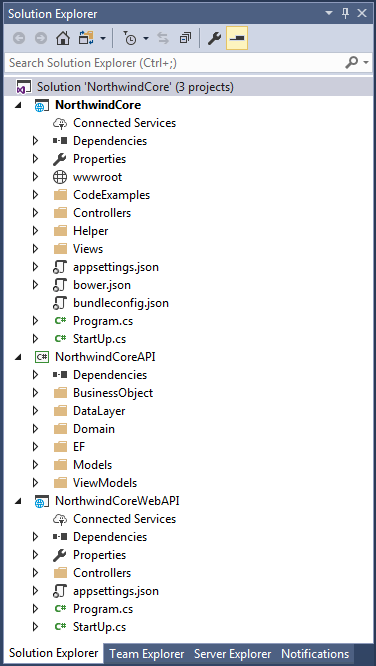 Web Application Project: This is the ASP.Net Core application which mostly contains UI components, or the Presentation Layer.